EDWARD THE FIRST, surnamed Longshanks, the eldest sonne of Henrie the third. The copie of the Charter in French. The copie of the second charter touching the possession of the land, in French. The forme and tenor of the homage doone by the Scots. The copie of the writ for the deliuerie of the castels. 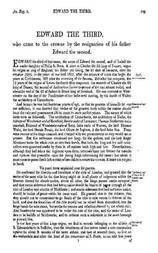 The forme of the fealtie of Iohn Balioll king of Scots to the king of England in protestation. The forme of the king of Scots homage to king Edward, in action. The instrument of the said submission. 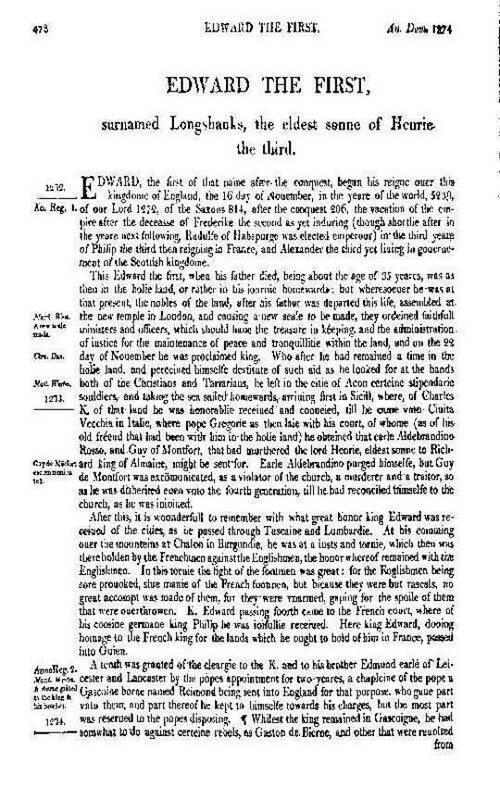 The instrument of the homages of the lords of Scotland to K. Edward. The tenour of the foresaid letter indited and directed to pope Boniface. An extract of the foresaid writ, as it is registred in the booke that belonged to the abbeie of Abington. 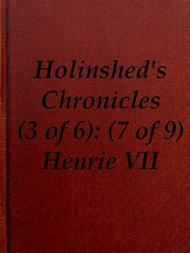 Holinshed's Chronicles of England, Scotland, and Ireland Vol. 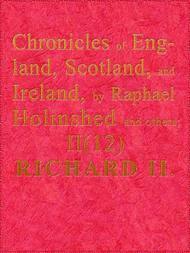 II of VI; Part 12 of 12; Richard II.